One of NWO's objectives is to initiate, help manage, and grant access to facilities for researchers from the Netherlands and abroad. These researchers are from academia and industry and within and outside of physics. 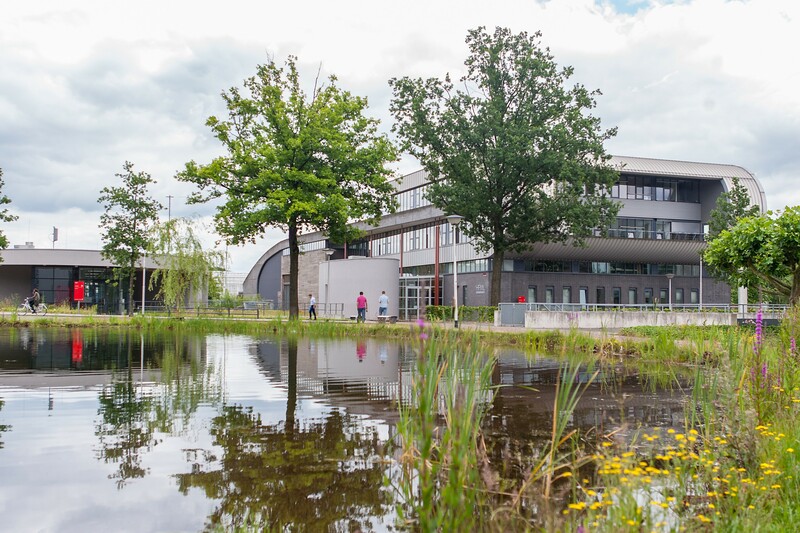 Some of the facilities and large set-ups are at NWO Institutes, whereas others are at universities or are facilities in which NWO is a partner. Located at the KVI in Groningen. AGOR is a superconducting cyclotron that accelerates light and heavy ions up to 200 MeV per nucleon (for protons). AGOR is suitable for nuclear physics, irradiations, radiobiology, atomic physics and surface physics; the possibility of using AGOR for proton therapy is being investigated. Further information about AGOR. The institute AMOLF in Amsterdam houses a facility for nanomanufacturing and nanocharacteristation which uses a combination of techniques. There is a cleanroom with facilities for optic and electron beam lithography and plasma etching, a facility for thin-film deposition, a laboratory for biophysics and chemistry and innovative optical tools for nanomanufacturing, nanomanipulation and nano-analysis including optical tweezers, confocal microscopy, and near-field optical microscopy. Further information about Amsterdam nanoCenter. Expertise is available at Radboud University and the University of Twente. This expertise and the software library can be used to study a series of problems in the field of modern condensed materials. Contact: Prof. R.A. de Groot, Radboud University and Prof. P.J. Kelly, University of Twente. The HFML is an international facility which uses and develops high magnetic fields for pioneering scientific research. Fields up to 37.5 Tesla are available; a 45 Tesla hybrid magnet is currently under development. The facility is located on the campus of Radboud University in Nijmegen. The HFML offers a wide range of experimental facilities. Amongst the many possibilities are optical and far infrared experiments and research on magnetic and transport properties of molecules and materials. NWO (formerly FOM) has a collaboration with the RU for jointly exploiting the HFML. As a part of that collaboration NWO (formerly FOM) has been partner since November 2014 in the European Magnetic Field Laboratory (EFML), together with the French CNRS and the German HZDR with magnet labs in Grenoble, Dresden and Toulouse. In March 2016 EMFL was awarded as an ESFRI Landmark. Directly neighbouring HFML is the free electron lasers facility FELIX. The combination of continuous high magnetic fields with infrared and THz light from the FELIX lasers offers scientists the possibility to study matter and materials in conditions that cannot be found anywhere else in the world. See www.ru.nl/hfml for more information. At the heart of the FELIX Laboratory are three free-electron lasers that produce very intense, short-pulse infrared and terahertz (THz) light. 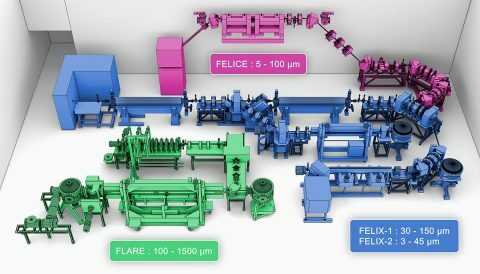 With wavelengths ranging from 3 to 1500 microns, the lasers FELIX, FLARE and FELICE together provide the world’s most complete coverage of the infrared and THz spectrum. Besides radiation, FELIX also offers a variety of advanced experimental set-ups. The facility is located on the campus of Radboud University in Nijmegen. FELIX is a merger between the free electron laser facility FLARE of RU and the facilities FELIX and FELICE, which were transferred from institute DIFFER to Nijmegen in 2012. The merger involved both the lasers and the staff of both organizations. On 30 October 2015, the facility in Nijmegen was officially opened by Sander Dekker, the deputy minister of Education, Culture and Science in the Netherlands. See www.ru.nl/felix for more information. The website Large-Scale Scientific Infrastructure itemises all of the large-scale research facilities in the Netherlands that are accessible to researchers. It provides researchers who are in search of facilities for conducting scientific research with an overview of these facilities.